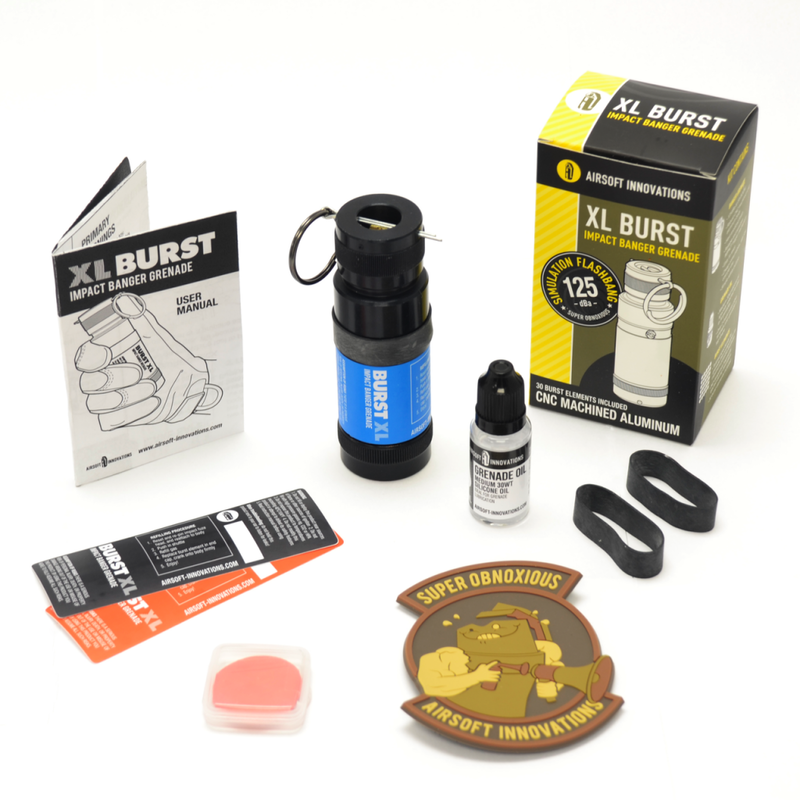 Airsoft grenades are great to add thrill to the game, create some much-needed chaos and confusion in the opposite camp, or get rid of several opponents in one move (depending on the type of grenade you’re using). In my opinion, all you need is a good CQB rifle, a full spare magazine, battery, and several airsoft grenades to win the game quickly. True, you need a bit of arm muscle to throw a grenade in the middle of enemy fortifications, but you can work on your pitcher skills whenever you want. Now, if you’re new to the world of airsoft grenades, you should know there are several types on the market. First, we have the smoke grenade, which is designed to create confusion and/or cover your behind when you want to reach a certain spot in the field, but you know the adverse team has an amazing sniper. Furthermore, on certain fields, colored gas grenades are considered poisonous gas, which is even more effective. Next, there are grenades that spread an array of BBs, taking out every enemy on a 5- feet radius. These can be triggered on impact or based on a timer, depending on your preferences. I, for instance, prefer grenades on a timer because it gives me the time to plant it and run, thus reducing the risk of being hit by my own grenade. This design works great for those with little to none arm muscles. Finally, some grenades are designed to distract the shooter, by shifting his/her focus from you. For instance, a sound grenade (which can be terrifyingly loud) or a grenade that produces a fake flash can be amazing as a distraction technique. Because grenades aren’t cheap and they can be quite dangerous when mishandled or misused, they’re not that popular in all airsoft fields. Still, if you know how to choose your product and consider yourself a reliable player, with experience in using various airsoft weapons, grenades can be quite fun. Depending on the type of field you’ll be playing on, you will only be allowed with a certain type of grenades (some fields may not accept them at all). Also, it depends on your play style. 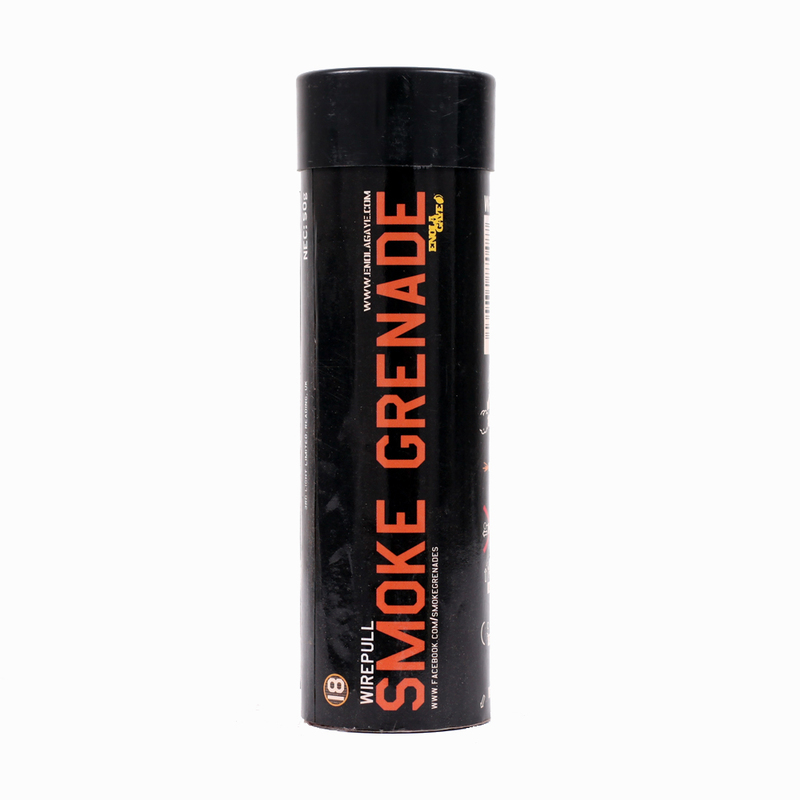 If you’re looking for a way to conceal your movements and distract the snipers, a smoke grenade is your best choice. On the other hand, if you like to take people out one by one, a fake grenade that distracts the attention is perfect. Finally, if you enjoy taking on an entire squad alone, you may need one with BBs. Dummy grenades – they’re only replicas of airsoft grenades as they don’t do anything. Since they’re not loaded with gas or BBs, they’re also lightweight, which means your gear won’t be overloaded. CO2 Powered – the main purpose of these grenades is to make a loud bang and (optionally) spread BBs or dirt around. There are several designs, starting with the cheap ones that are built using a plastic shell and ending with grenades with metallic inner workings. For the latter, airsoft field rules state these grenades should be rolled and not thrown, thus reducing the traveling distance. Still, if used right, they can clear out your opponent’s fortifications. Also, they can be refilled. BB Grenades – this type of grenades releases a BB spray and makes a loud noise, so everyone will know it has gone off. It can go off on impact or on a timer, and you can reset and reuse them. Tornado Grenades – a subtype of the BB grenades, this one is silent, and it releases the BBs in a spiral while rotating around its own axis (like a tornado of BBs). It is highly effective as it reaches a lot of players, but it’s also quite expensive. Pyrotechnic – also known as cardboard pyro, these are not reusable since they literally burn. Their purpose is to release smoke of different colors or make flashbangs, depending on the materials used. Furthermore, most airsoft fields will accept them without restrictions, and they are rather cheap. Airsoft grenades go from affordable to rather expensive, but even the cheap ones can dig a hole in your pocket if you use them all the time. This is why some grenades are designed to be refilled (with BBs or CO2 gas). Basically, most grenades that use gas can be reused by replacing the CO2 container and sealing it back with silicone oil. Other models may need ring replacements and you can even find refreshing kits that can give your grenades a new life. I honestly think that, if you like using grenades, you should focus on reusable models. It is cheaper and gives you the chance to learn more about how they work. Before I start talking about actual products, I want to make sure you understand airsoft grenades are not for beginners. If you can’t hold your rifle correctly, you shouldn’t be throwing a grenade! A grenade that’s not thrown correctly can hit someone in the mask or head. This can knock the safety gear (goggles or masks) off, which can lead to injuries if the grenade was a BB spraying design. Furthermore, most cheap CO2 grenades don’t have a timer that tells you when they’ll go off. They are highly influenced by the environmental temperature, so it could take up to 30 seconds or it could take 2 seconds for the grenade to explode. This can lead to a grenade exploding in your hand, in someone’s face or too close to someone’s ear. Finally, smoke grenades can be hazardous to use in outdoor fields such as forests or tall grass. Since they are burning projectiles (and they burn hot), it’s easy to start a fire if the vegetation is dry. Overall, if you’re careful with your gear, there shouldn’t be any problems. Still, it’s always best to exercise caution, even though these weapons are not fatal. Now that we talked about all the necessary details, let’s have a look at the designs that are available on the market. These grenades look like the classic real version of the weapon and produce an ear-splitting 130 decibels boom. The grenade uses a CO2 fueled core to create the noise (which is reusable), but you will have to supply the cartridges. They work perfectly in CQB situations, especially if you manage to plant it as a surprise. Still, make sure you know that there’s no timer on these and that the CO2 is influenced by the environmental temperature. Another flashbang product, but this time, designed as a cylinder grenade (one of the most popular designs). The outer shell is made of plastic and the core allows you to fit a 12g CO2 cartridge inside. The sound it creates is a window-shattering 130 decibels, so you’ll know when the grenade takes off. However, since it’s a CO2 grenade, you don’t know when it will explode. Also, the top and bottom caps are reusable, and the shell doesn’t crack on impact. Designed with mylar disks that burst upon impact (without the release of fragments), these flashbang grenades manage to create a pretty loud boom (125 decibels at 5 feet). Furthermore, they work with both propane and green gas and they are completely reusable. The outer shell is designed with durable CNC aluminum, with a cool-looking anodized finish. The mechanism is triggered on impact, and all you need to do to set it off is to pull the safety pin out. If you’re looking to create a diversion or cover your actions, a smoke grenade is your best bet. The cool thing about these grenades is that you can select the color of the smoke (orange in this case). Furthermore, these grenades feature cool burning, which means that there is no external flame and the burning is internal. However, you should still be careful with them, and avoid using them around flammable materials. At the end of the day, grenades are a lot of fun, but they’re also a bit riskier than the airsoft guns. Still, if you use them according to specifications and learn how each type reacts under different conditions, you should not get into any troubles!